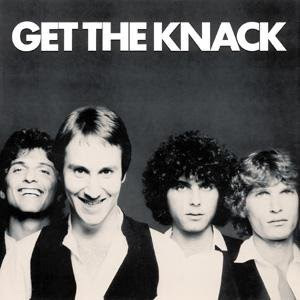 In a way, The Knack was like rock and roll version of the Bee Gees -- for a short while, they absolutely ruled the music charts and radio DJ's, only to be turned on with such ferocious backlash. For the Bee Gees, it didn't kill their careers, but certainly cooled it down while they focused on writing and producing for others. For The Knack, it was practically the knockout blow. The Knack arrived in what could only be called the most perfect timing. Disco was going full steam in the late 70's. I was heading off for a summer studying journalism at Northwestern University in Evanston, IL. Little did I know I was veering right into Anti-Disco Central, lead by Chicago radio jock Steve Dahl. Dahl would count down the top 10 records that week, most of them disco, and while the single was playing, he'd scratch it very slowly with the needle, then slam it into a million pieces against his desk. Dahl led the charge of playing rock and roll, adding in what was becoming New Wave music and then-current hard rock. His radio station sponsored Anti-Disco Nights all around Chicago, and when I stopped by one of them at a bar, the place was filled with cocktail napkins that read: "Kill The Bee Gees." Rock and rollers were getting kicked off charts and radio by disco. California rock band The Knack is released and all the pieces fall into place for them to lead that backlash against disco. An album full of hyper-sexualized Beatles-influenced rock songs, all immensely catchy with harmonies, snappy musicianship and humor. They dress in the then-requisite skinny ties. They are on the same label as The Beatles -- Capitol -- and the black and white thematic artwork only connect them further with the Fab Four. With English pop producer Mike Chapman at the helm, who knew a few things about power pop (Blondie, The Sweet, Nick Gilder), The Knack unleash their "My Sharona" single and it's like a nuclear missile on the disco movement. Based on an up and down octave bass riff with Bruce Gary's drums slamming away in precision time, it's an exhausting workout of young lust and innuendo, singer Doug Fieger practically going nuts for the mysterious "Sharona." "My Sharona" climaxes in Berton Averre's meticulously arranged guitar solo, surely one of the all time great ones in rock and roll. He and the rhythm section play off each other as he goes all over the fretboard until they are one big force ready to explode... then pause... then right into that up and down bass riff... pow! Fieger is audibly panting over the beat that he seems about to explode any second. "My Sharona" proved that you didn't have to have that 4/4 disco beat and hi-hat to dance -- this was rock music that encouraged those who were staying off the dance floor to come back on. The Knack was the unlikely saviors of rock and roll, saving the world from Sister Sledge, The Village People and Cher. Carried by an album of great songs, including the second hit single "Good Girls Don't," The Knack were an international sensation. Even Weird Al Yancovic made it official with his parody, "My Bologna." Everything seemed sweet for The Knack until their second album, Even The Little Girls Understand, and then somebody just pulled the plug on them. Suddenly, everything The Knack did seemed cocky and ripped off. Nothing on this record came close to the first. Ah, the sophomore slump. Years later in 1994, the song was rereleased to some success when it was featured on the soundtrack to the Ben Stiller film "Reality Bites." YouTube is littered with amateur guitarists doing note for note renditions of Berton Averre's astonishing guitar solo, such as here and here. "My Sharona" appears in the video game "Guitar Hero 2," bringing the song deservedly to a whole new generation. While I believe "My Sharona" is absolutely a classic and very influential for power pop acts in years to come, The Knack were no ordinary band for that brief shining time when this was their hit. Below are two "My Sharona" videos -- first is the original 1979 one, followed by a March 2007 appearance by the band on Italian television. What is strange is that they are lip-synching to a song that was almost 25 years old, when they've always been known as a crack live band. However, you have to love all the hot babes dancing with guitars around the stage and the audience wildly up on their feet dancing.